I have now had the chance to try the Karoo on the bike for two weeks. It’s been mounted on the bike almost every commute ride to and back home from work. Here are my first impressions. Given the Karoo doesn’t have even near all the features Hammerhead annouced it with a year ago, and that much of what’s in there now is buggy, it feels like we who got it is the beta testers. Or even alpha testers of several functions. The fact that many basic functions are buggy make me wonder what the people in the Caracal Program actually did in terms of testing. I’ve done about 12 commuter rides á 22km with the Karoo on the bike. 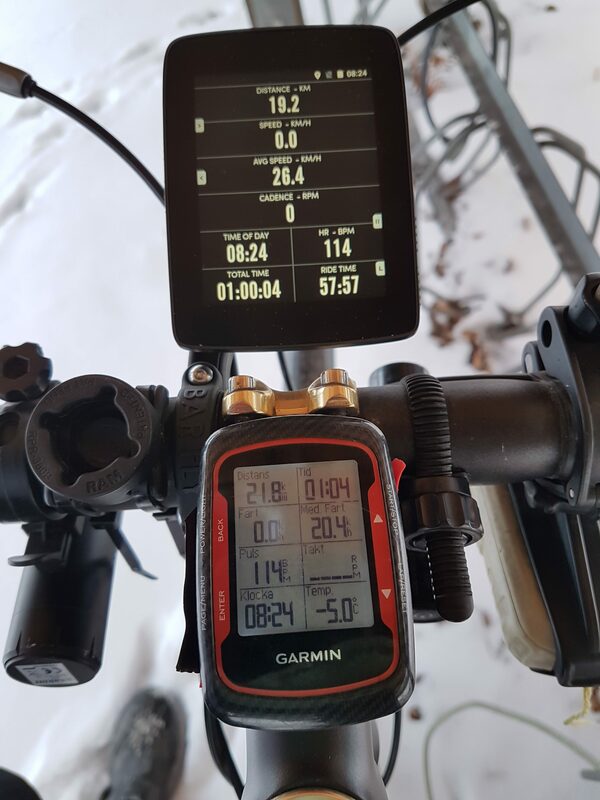 Every ride with my old Garmin Edge 500 next to it on the bar as the primary device. I do not trust the Karoo yet. The major point here is that my Karoo reboots, and reboots often. I haven’t had a single ride without a reboot and most rides it reboots as often as 5 to 6 times. There has been a lot of discussions about this on social media with various ideas on what could be causing this, and I think I have tested every possible scenario people there and myself can come up with, to no avail. It keeps rebooting, at least as long as it is on the bike, moving. While sitting still on the table, indoor or outdoor, it hasn’t rebooted yet in my tests. The good thing about the reboots are that Hammerhead are on top of it trying to figure out why the devices are rebooting. According to them it is about 0.3% of the sold devices that behave like this. And in todays live video they said they will replace the units with reoccurring reboots. That’s great news to me, as I’m now quite fed up on not being able to trust the Karoo, especially since all data collected up to the reboot is lost. Gone. Vanished. The live video, taking questions from the users, the second they have done so far, is also a thing that make me believe in Hammerhead despite the negative feelings I have with regards to the reboots, the missing features and buggy basic features.They are really open and transparent in their communications now and shared some really good information on the reboot issues as well as upcoming features and ideas. And they seem to really be listening to the community. 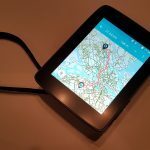 Having some, but not too much experience of Garmin and bugfixes as well as feature requests, this is awsome. I don’t think any of their competitors are as open and listening like Hammerhead. That is promising. And I really believe they will be making the Karoo as awsome as I thought it would be when I got it in my hands in the coming 12 months. The downside is that it is way longer away than I wanted. And I’ll have to live with the bugs and problems and missing features until then. 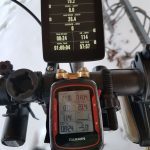 The reason I didn’t go for a Garmin was their bugs. Go figure. And go Hammerhead, you still have my support, much because the way you listen and communicate these days! Now, that’s the main things. The reboots and how Hammerhead is dealing with that and other issues. My impressions of the rest what the Karoo can offer may not be too positive either though. But I’m sure most if not all of this will be fixed eventually, based on the above. There’s currently no way to pair the Karoo with your phone and get notifications about incoming calls or texts. This is something I bought a new device for, and something the competitors have already. There’s no audio. At all. No beeps to let you know about your next turn. Or if you go above or below your various zones when training. And its not fixable, as the hardware just cannot produce sound due to a decision by Hammerhead. I think that was a mistake, and lots of others do too. Not much to do about though, and at some point someone may figure out a workaround using the bluetooth connection. Several minor things like incorrect data for speed, elevation, average values, too large navigation arrow, too large autopaus menu hiding data, no autozoom of map when approaching turns and quite a few other items that I’m sure will be sorted in the not too distant future with the frequent software updates they are pushing out. Currently there’s only very basic functionality on the Karoo. It feels like the community is used as beta-testers. You cannot access the data directly on the device. It cannot act as a USB mass storage device like the Garmins. 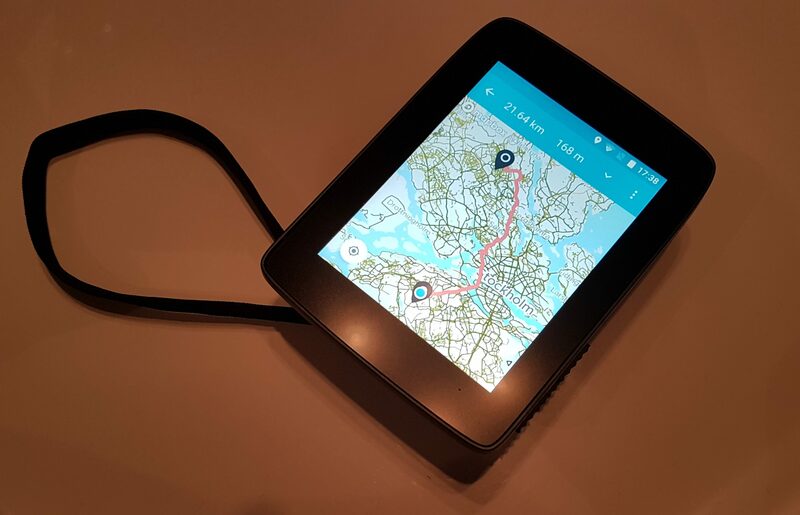 You have to rely on internet connectivity to be able to use the tracked data in any way. And you rely on the Hammerhead Dashbord being up and function. For me that’s a big nono, and I hope we’ll get access to the activity data on the device itself via either USB or a phone app. Preferably USB as that would fit my ways of archiving my data. There’s no API to the dashboard. Something I really would like to have to allow syncing of activities they way I want. On the positive side, the screen is awesome. Very bright and readable even in sunlight, and very responsive. Also with my winter gloves on. And most of the stuff can also be controlled with the buttons on the sides, large enough to be easily managed with gloves too. And positioned to avoid pressing the buttons on both sides of the device at the same time (squeezing it between thumb and finger). And just take a look at the support community pages to get a feeling for what type of device we might end up with in the future. 🙂 The fact that I also have seen improvements in some functions with the last updates is also promising. And as a note at the end – everything(?) I have seen as a bug, missing feature or nice-to-have I have submitted as feedback or input on the community forum. And much have also been discussed on social media between the worldwide Karoo users. I really like the community we have out there. 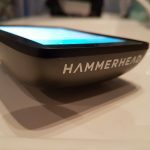 Let’s help Hammerhead make the Karoo the device we all want! Thanks for sharing! I am still waiting for the device to be delivered. Hope they can fix few things in the meantime, because reading your post as well as the forum the first drop of devices contain software that is not well tested in the past so it seems. 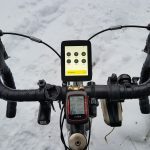 For me the missing of sound-functionality could be overcome, if battery-life is helping me for a full day ride with navigation and speed- and heartrate-sensors connected. 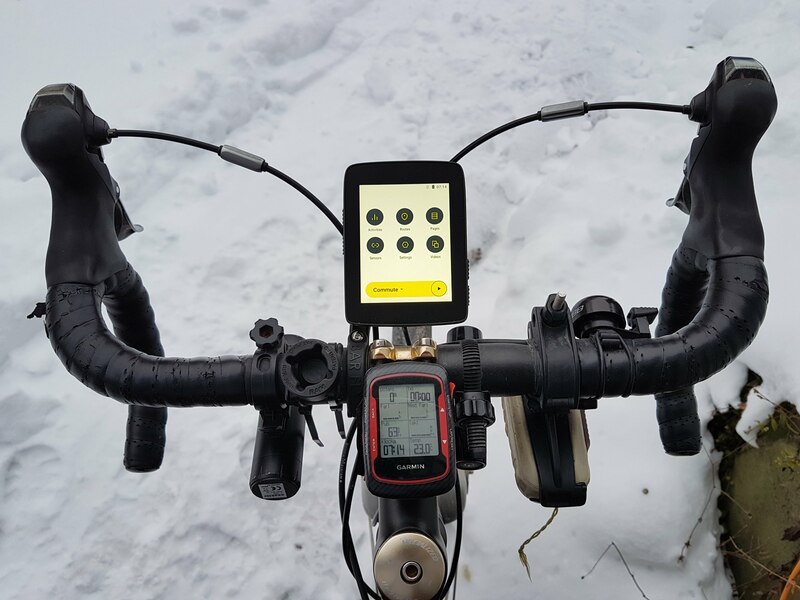 If also battery-life is an issue, than there are many current Bike-navi´s that offer alternatives for Karoo already at present. E.g. the MIO 605HC which is offered at a very fair price at the moment. The software could have been much better indeed. 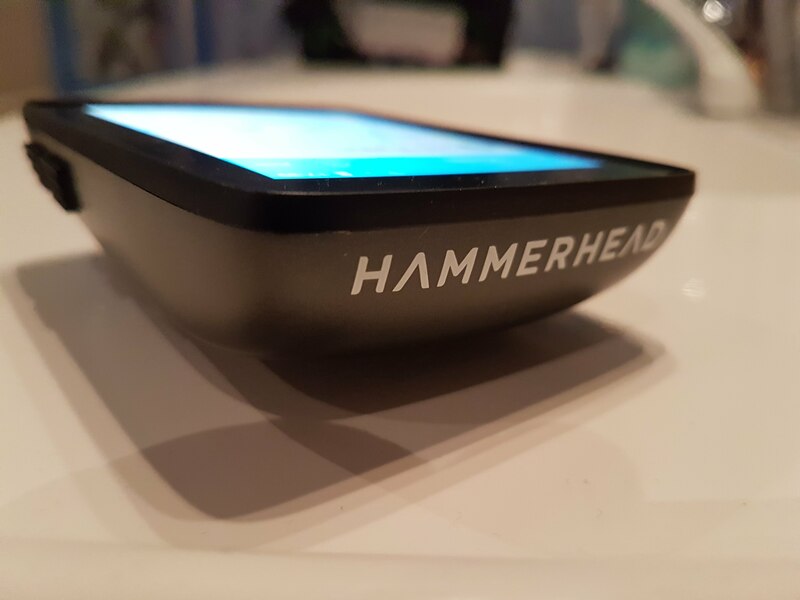 I think the production delays forced Hammerhead to get the device out to customers sooner than they wanted, to buy som time But I’m still positive given the regular updates, improvements and comms.